Guests were greeted by a giant tardis that may have threatened to steal the show, but around every corner, there were experiences to explore. Face painting, kids cosplay contest, story time with costumed characters, author panel, workshops, and vendors adorned the rows and stacks of books. 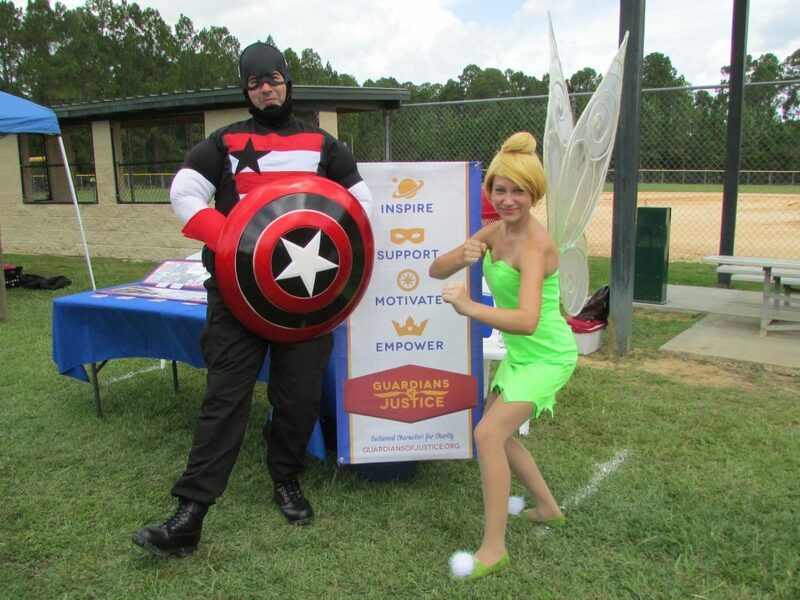 From making Wonder Woman armbands, personalizing your own Captain America shield and the chance to green screen yourself into a superhero photo, Southshore LibCon knew no leaps or bounds. ’66 Batman learned some updated computer skills while Night Owl read about superheroes. The 7 Foot teddy bear was met with awe and hugs as US Agent was diligent in keeping villains at bay. 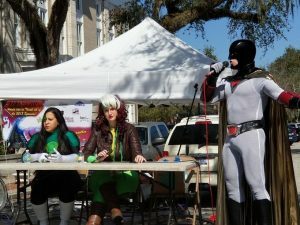 On Saturday, February 17th, 2018 the Guardians of Justice were once again in Bartow to take part in the city’s SyFy Con. This year’s convention celebrated all things Alien & Monster and did not disappoint as visitors were treated to 6 city blocks of vendors, memorabilia, and cosplayers from all genres. Free Play Florida is an exciting three-day event that encompasses a complete pinball, arcade, and console gaming experience. All of your classic and current pinball and arcade games will be on display for you to play, join the International Flipper Pinball Association (IFPA) sanctioned pinball tournament and compete with the best in the state of Florida, sit in on our speaker panels that include industry icons, and visit our valued vendors selling parts, memorabilia, and some of the coolest themed art on the planet! Guardians of Justice had the opportunity to join alongside fellow member Space Ghost. 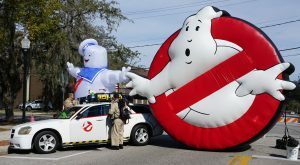 For the fourth year in a row, the town of Bartow has hosted a celebration of “Out of this World” proportions. Hosted by Sean Serdynski, SYFY Bartow is a free, family-friendly, science fiction, car show convention held solely outdoors. Having grown to encompass four city blocks, this year’s festival had a variety of events for guests to take part in including: Super Hero Karaoke, Scott Fensterer’s amazing makeup demonstration, a comic/superhero-based Match Game and Family Feud and a twenty- four foot Rock Wall to climb. Members of the Jedi Training Academy of Central Florida taught about light sabers and how to be a Jedi master. Yo, Joe! A Great Time at Auburndale CityCon! 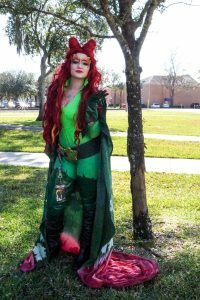 In its third year on January 20th and 21st, the Auburndale City Con was held in downtown Auburndale at the Civic Center, Depot Lawn, and City Hall. City Con kicked off at high noon on Friday and ended Saturday evening with a special screening of Suicide Squad at the City Con Cinema and the “After Con” party held at Jesse’s On Fire. Guardian members – U.S. Agent, Captain America, The Winter Soldier, Black Widow, Toy Story’s Army man and Qui -Gon Ginn answered the call for the G.I.